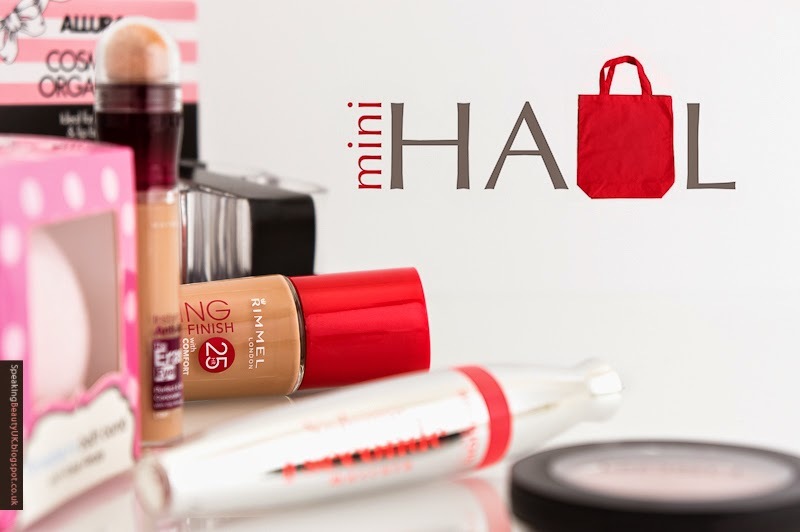 I popped into Superdrug last week just to buy some bits n bobs I needed and then I spotted they are having 3 for 2 mix and match on all makeup. How can you resist that? I didn't go crazy, though. I picked up only 3 things. I finally gave in to the hype and grabbed Bourjois Volume 1 seconde mascara. 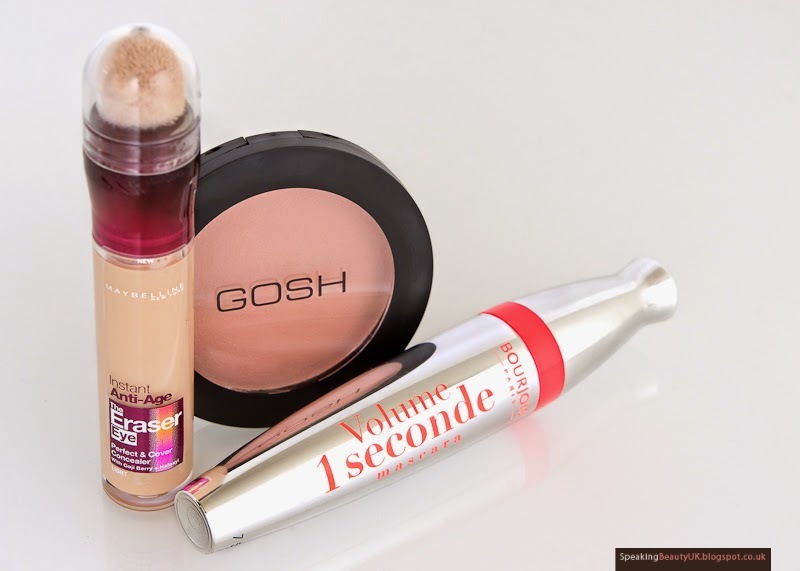 I also bought Maybelline The Eraser concealer (also known as Age Rewind concealer) and GOSH Rose Whisper 36 blush. I read a post where Amelia Liana said Rose Whisper was a dupe for Mac Harmony blush, which I never owned but have always wanted to try. As I said I don't have Harmony to compare but they looked pretty similar for what I could see in Amelia's post (here). I've tried all three products this weekend and so far, I'm really happy with my purchases. I know I will most certainly pick up more stuff before the 3 for 2 promotion ends. I also decided to include in this mini haul other things I bought last week. I went to Poundland and I found a strawberry bath bomb with rose petals. I haven't managed to go to Lush yet, so I thought... for £1, why not try this in the meantime? It smells lovely, a perfect mix of strawberry and roses! But I haven't used it yet, so I still don't know if it will perform very well. I'm not keeping my hopes up, though. After all, it's Poundland. haha But we'll see. 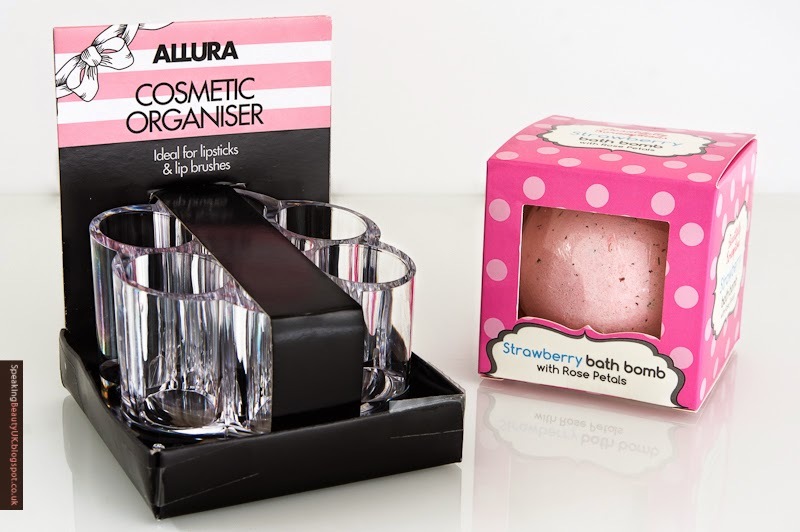 I also picked up an acrylic cosmetic organiser (for lipsticks and brushes) and this one is great! 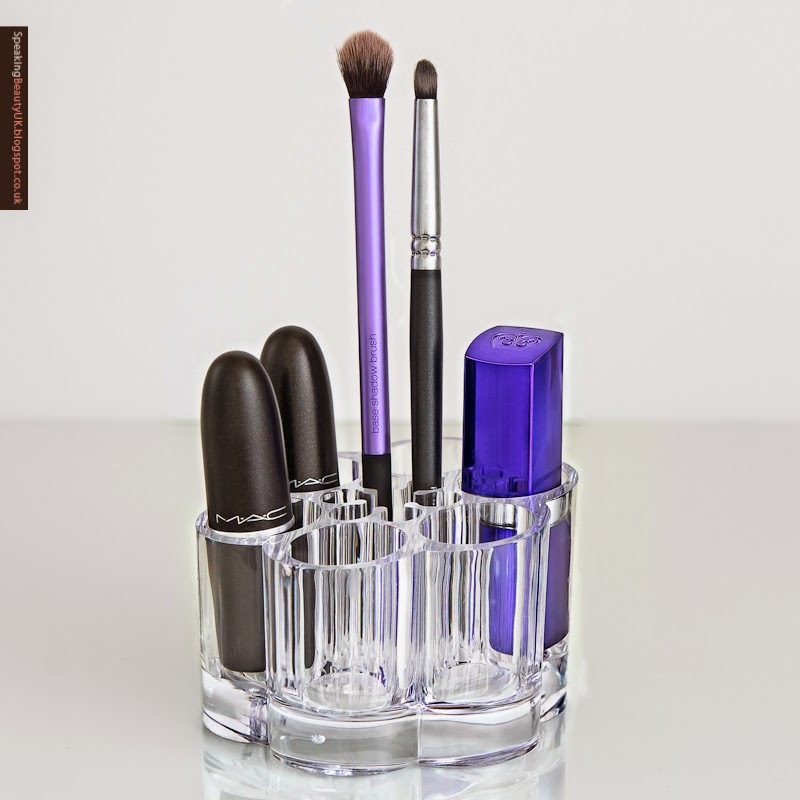 I am obsessed with lipsticks, so I needed more storage and was very pleased to find this one that fits 6 lipsticks + 6 small brushes. I have organised my makeup space on the weekend and left it on my little makeup area, with all my fave lippies, so they are easily accessible, when I'm doing my makeup in a rush. The only downside is the lipstick compartments are round, so some lipsticks won't fit, but it's pretty good in my opinion. 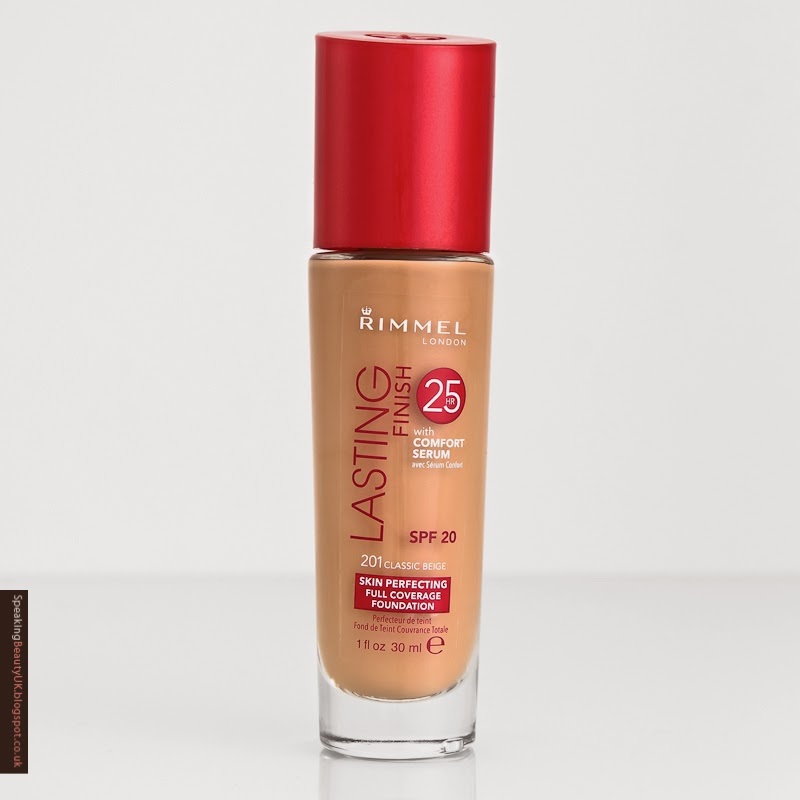 Lastly, I spotted this new Rimmel Lasting Finish 25h Foundation with comfort serum for only £5 in Sainsbury's (it retails for £7.99). I tested it in store and it felt quite soft on the skin. For that price, I didn't think twice. Brought it home to give it a proper try. And so far, so good! I got it in the shade 201 Classic Beige and it's a perfect match (for reference, I'm NW20 in Mac).